Mr. Karns was formerly a Captain on active duty in the U.S. Army Judge Advocates General's Corps where he received the Parachutist Badge, the U.S. Army Commendation Medal with Oak Leaf Cluster, the National Defense Service Medal, and the Army Service Ribbon. 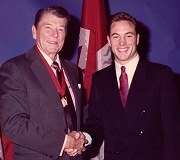 Subsequent to active duty, he continued his service in the U.S. Army Reserves where he was promoted to Major. 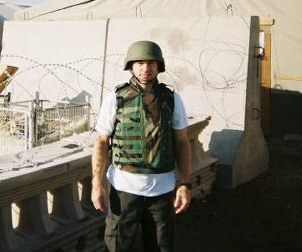 Mr. Karns completed his reserve duty in 2005. Courts-Martial are conducted in accordance with the Uniform Code of Military Justice. Because of this, Military Law is a highly specific area of practice. The difference between a positive or negative outcome can depend greatly on an attorney’s experience with the military’s court procedures and rules of evidence. Mr. Karns’ experience in military courts and with military procedure is extensive. He represents clients in every branch of the military and throughout every phase of the military justice system. Mr. Karns will travel internationally to assist you with your matter. As their lawyer, Mr. Karns prefers to defend his clients by taking advantage of their constitutional rights to confront their accusers and to a trial by jury. Only in the case where this course of action would most likely net a worse result for the client will Mr. Karns employ his skills in a different manner -- negotiating for a reduced offense level. He then mounts an aggressive defense during the sentencing phase in order to persuade the jury to grant the most favorable sentence to the client for the reduced offense. in the Abu Ghraib Prison scandal (2004). In 2004, Mr. Karns traveled to Baghdad, Iraq, where he represented a U. S. Army soldier accused of abuses in the Abu Ghraib prison scandal. Mr. Karns guided and counseled his client, a decorated Military Intelligence soldier through the plea bargain process securing him one of the lowest sentences among those soldiers sentenced to confinement. Mr. Karns obtained this result by zealously defending his client in the sentencing phase of the proceeding, presenting extensive extenuation and mitigation evidence in his client’s behalf. You may have seen or read of Mr. Karns’ handling of this case on CNN, ABC, the Associated Press, or your local news. Mr. Karns has also appeared on NBC as a commentator on military law matters.